Player can claim Sign-in gift every day when logging into the game for the 1st time. 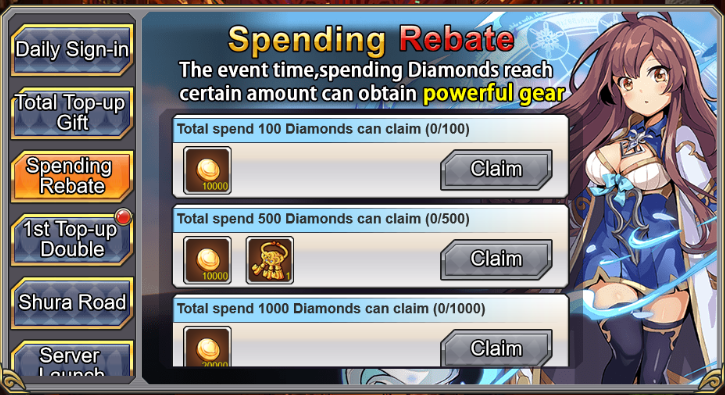 Player cannot claim more than once, cannot late claim, and can claim Double Rewards on certain day if VIP reaches requirements. 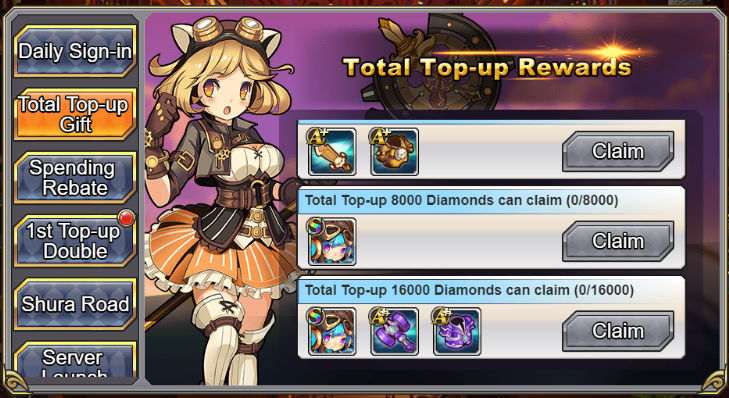 Player’s total Top-up reaches the tier to claim corresponding rewards. Each tier can only be claimed once. Players spend Diamonds reach the tier to claim corresponding rewards. Each tier can only be claimed once. 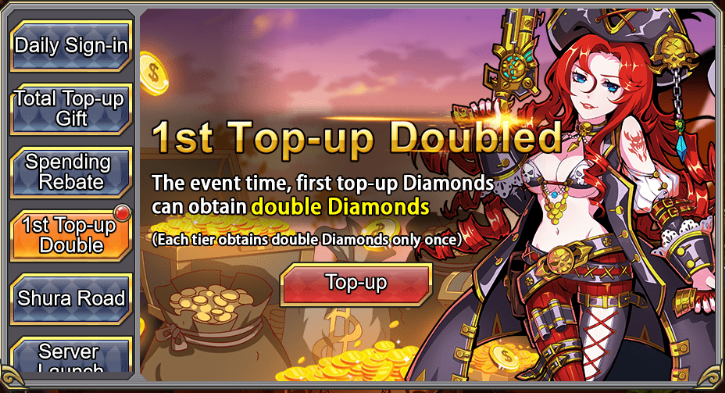 When player top-up for the 1st time in each of the tier, can obtain double Diamonds. Each tier obtains double Diamonds only once. 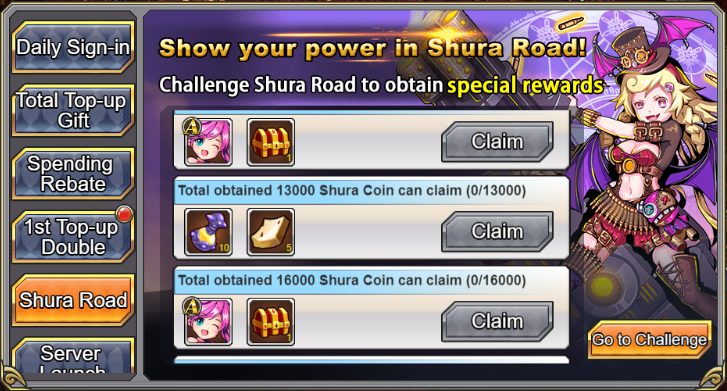 Players challenge Shura Road to obtain Shura Coins. 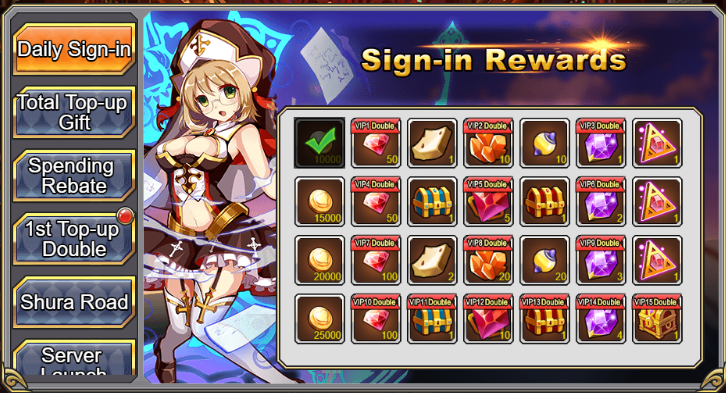 When total Shura Coins reach the tier, player can claim rewards. Each tier can only be claimed once. 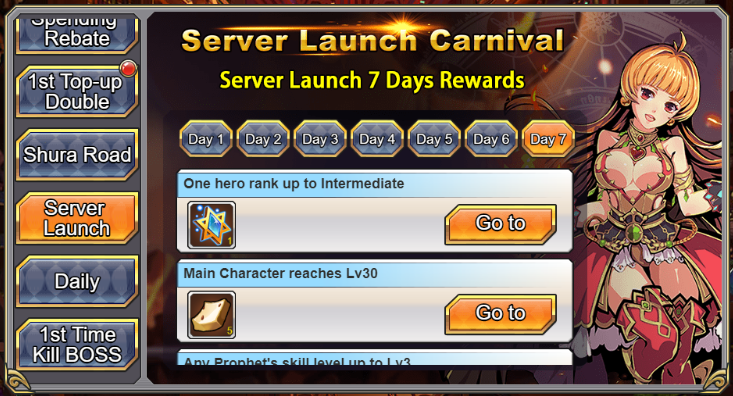 During the first 7 days of the Server Launch, players can complete tasks to claim corresponding rewards. Each task rewards can only be claimed once. 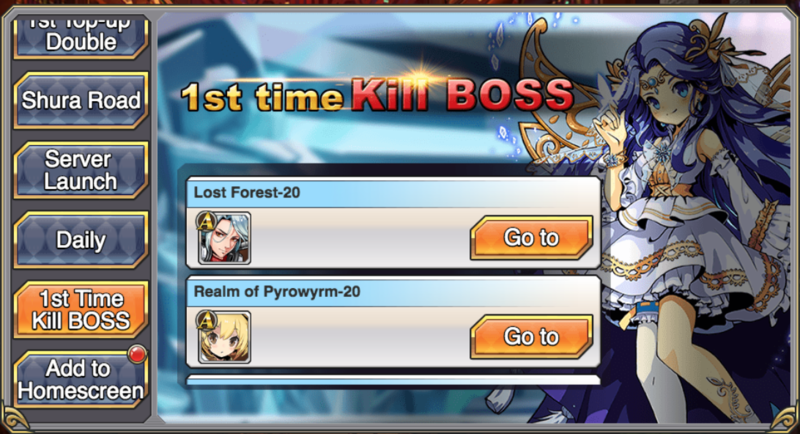 In the game, when players kill designated BOSS for the first time, will obtain corresponding rewards. Each rewards can only be claimed once. 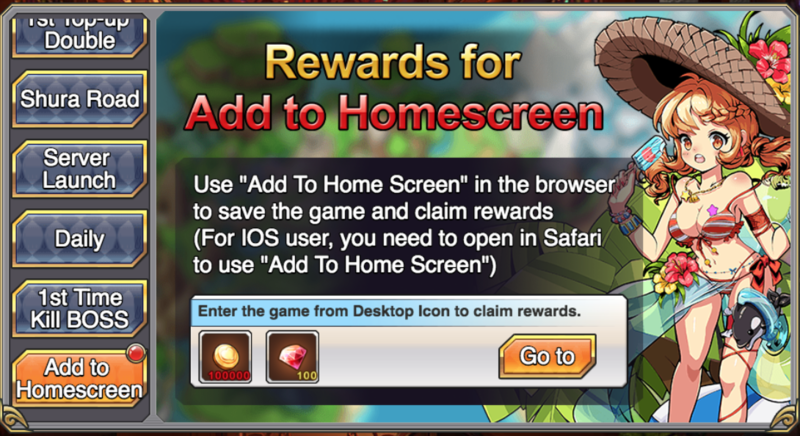 Players add the game icon to Homescreen, then click on the icon on the Homescreen to enter the game to claim rewards; only available once. 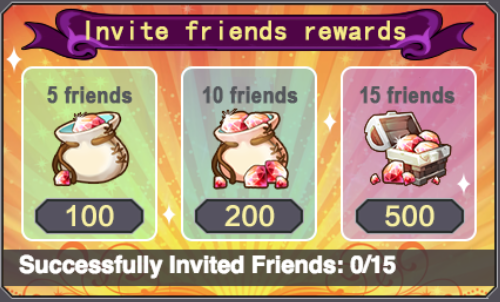 Players invite friends and friends join the game, then players will obtain corresponding rewards. Each rewards can only be claimed once.